Increasing the energy efficiency in your home and/or office will not only help the environment, but also save you a lot of money. The Environmental Protection Agency – EPA – estimates that the average home spends about $2,200 per year on energy bills. That number might not seem staggering to you, but it’s still a significant chunk of cash that could be easily reduced. You might be worried that increasing the energy efficiency in your home or office is going to be a big project, but the truth is it’s easier than you think. In fact, there are ways you can do it that will cost you little to no money or time at all. Do you have a window in your home or office that directly faces the Sun in either the morning or the afternoon? If the answer is yes, you could be cutting back on your energy consumption by shutting or opening the blinds at the appropriate times. For example, if it’s during the summer, keep the blinds shut so the heat stays out. Conversely, open them during the winter so your house naturally heats up without having to run your heater 24/7. 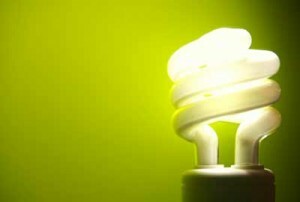 The EPA estimates that 20% of your energy bill comes from lighting. Most people use incandescent bulbs in their homes because they are cheap and easy to come by, but unfortunately they are energy hogs. Replacing all of the incandescent bulbs in your house with LED’s or CFL’s could potentially cut your energy usage from lighting in half. LED’s and CFL’s typically last about 10 times longer than incandescent and use about 75% less energy. The only downside is they are more expensive to purchase, but the savings you will experience in the long run make them well worth it. If you’re serious about improving the energy efficiency in your home or office, then you should switch out your appliances with Energy Star appliances. Energy Star appliances far surpass the federal standards for energy and water consumption. Did you know that some Energy Star dishwashers surpass federal standards by 50%? If you think that’s a lot, some models actually exceed them by as much as 147%! Obviously, having your home properly insulated will make a huge difference in your energy efficiency, but one of the most common places in the home people forget to properly insulate is their attics. When it comes to keeping your house warm so you don’t have to run the heater all day, the attic is crucial. Also, don’t forget to air-seal it as well as insulate it.